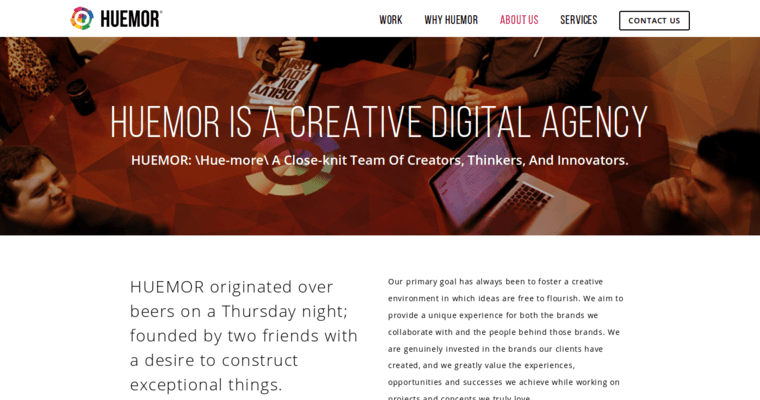 Huemor Designs is a New York based web design firm. Their specialty is responsive web design. They specialize in creating user-focused adaptable web and mobile experiences. They get to know a company and its customers thoroughly before designing appropriate solutions. Their services include strategy and planning, website development, e-commerce and digital marketing. They build websites that are secure, well engineered and future friendly. They make sure a company's website is mobile friendly and easy to use. They create systems that will retain customers, improve conversion rates and improve organic search results. They create eye-catching designs for websites to get people's attention and optimal site usability to keep customers coming back.